Can you spot the difference between a trilby and a fedora? If you can’t, you won’t be the only one who has a tough time distinguishing between the two types of hat. We thought we’d try and help you out and cut the confusion; we’ve put together a guide all about the trilby vs fedora. Once you’ve read through our guide, and our handy tips and tricks, you’ll be able to style your hat with confidence, whichever type you choose. 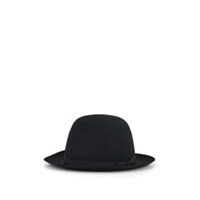 What is a Trilby Hat? When to Wear Your Trilby or Fedora? 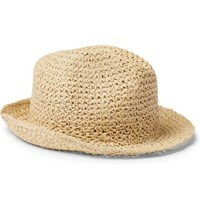 What We Love to Wear with These Hats? How to Take Care of Your Hats? The first item on the agenda is to discuss these different hat styles in more detail so you can start to learn their normal dimensions, and how they fit. Many people make the mistake of confusing trilby hats for fedora hats, but they’re actually quite distinct in their designs! We hate to think of all the hat experts out there getting distressed with the trilby vs fedora confusion, so we’re happy to help settle the record on their differences, and how and when to wear them. Let’s get the trilby hat covered first. Trilbies have got a reputation for being a bit of a cheesy option, which is why you’ll often find cheap recreations of them in party supplies shops. When done properly, they’re anything but cheap and cheesy, and can look highly stylish and sophisticated. In the most basic sense, a trilby hat has a short or medium width brim that is turned up at the rear, and is turned down to the front. 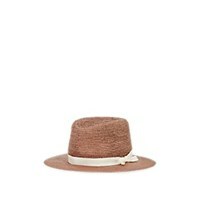 Traditionally a trilby would have been made from felted rabbit fur, but these days you will find them in a wide range of synthetic materials or natural fibres. The name ‘trilby’ comes from its original appearance in a London production, Trilby, which was a 1894 novel by George du Maurier. It was one of the most popular novels of its time, so it makes sense that the production based on the book would be widely remembered too. Since then, plenty of celebrities have donned a trilby for events, photoshoots and even for everyday wear too. 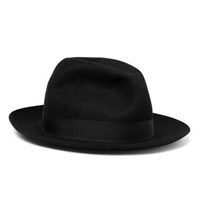 If you were looking for a hat with a wider brim, you would want to choose a fedora instead. Some style experts suggest that a fedora is a safer fashion option for most men, as it can be easier to buy a hat that has a brim proportionate to the size and breadth of your shoulders. 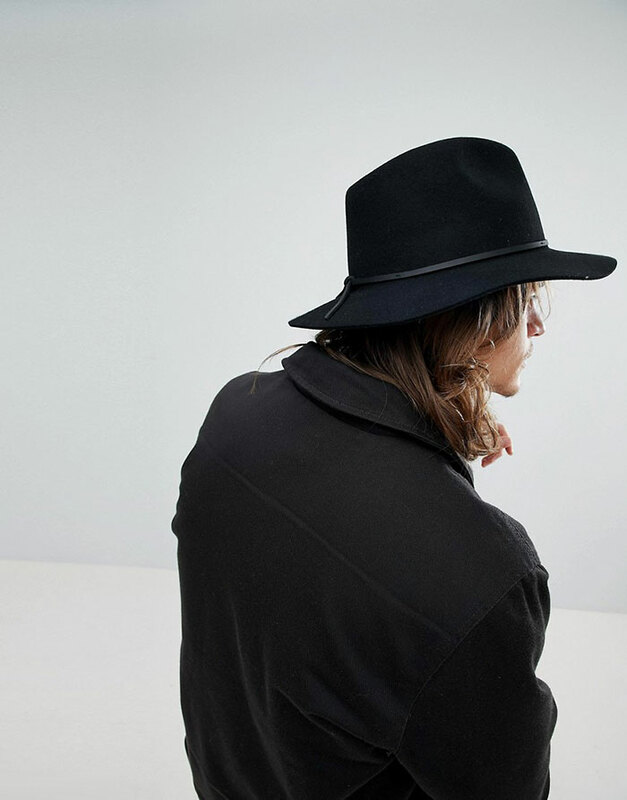 The brim of the fedora isn’t just bigger than the trilby, it’s also turned in another way. 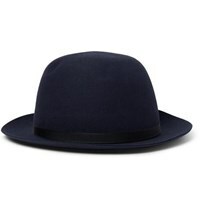 It is either kept flat or turned slightly down all the way around, as opposed to the trilby which we covered above. 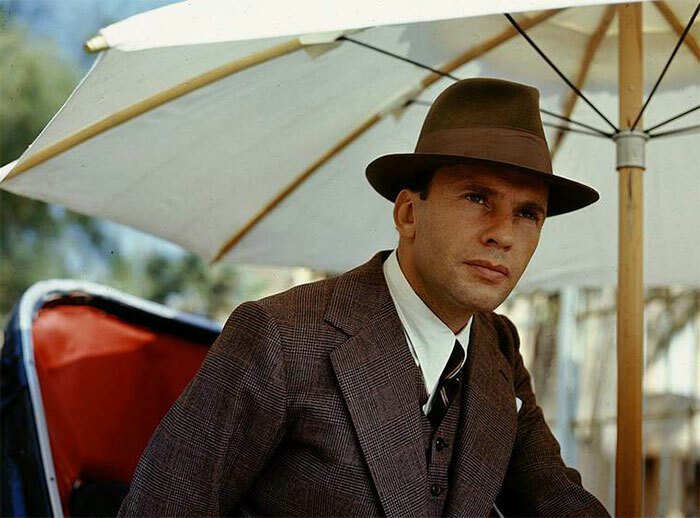 A fedora can sometimes be the more expensive option out of the two, simply down to the fact that they require more fabric to complete the design. 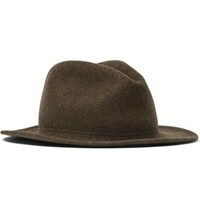 However, that doesn’t mean you won’t be able to find one in your budget if you’d prefer to buy one over a trilby. And a fedora is always a good option if you want to recreate the look of an icon, as Frank Sinatra was known for wearing one of these hats. 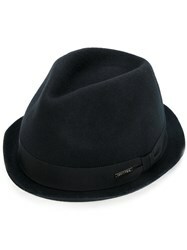 The most notable difference between a trilby and a fedora is the size of the brim. 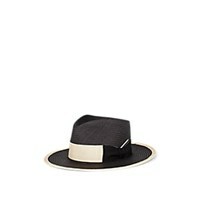 Trilbies have a small to medium sized brim, whereas a fedora has one that is larger. This isn’t the only point that gives each hat its distinct look; it’s also the crown of the hat too. 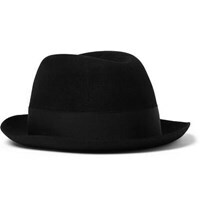 On a trilby, the crown is sharper, but a fedora has a shallower indented crown. It’s when you are able to try on both hats that you start to understand the differences more clearly. The dimensions can be hard to imagine, as well as the turning of the brims. Trilbies have a brim that is turned up at the rear, whereas fedoras tend to be flat or slightly turned down the whole way around. These key contrasts should be seen as a fashion opportunity; it means that you can choose two hats rather than one, and see how you can style them accordingly. 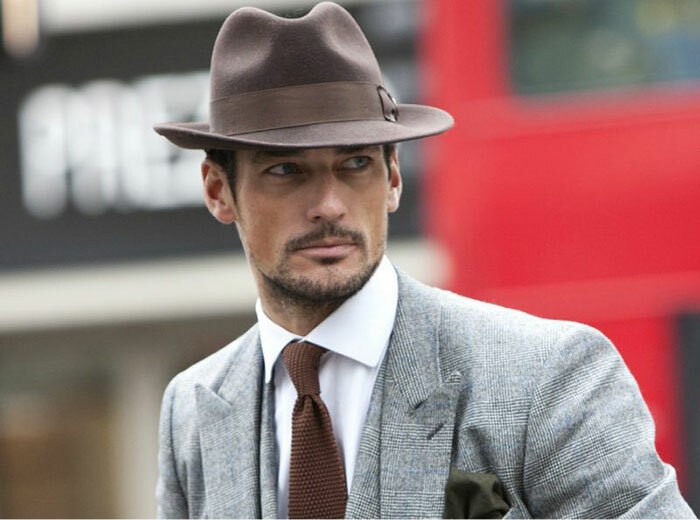 Now you know what’s what when it comes to the trilby vs fedora, we thought we would provide you with some extra tips to help you to wear your hats with a healthy dose of knowledge and confidence. One question we hear a lot is when these hats should actually be worn. We have some advice on this that you may find helpful. 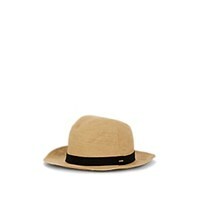 Let’s start with trilbies. We’ve established that these hats have been worn by many celebrities throughout the years for style purposes. For that reason, this is how they’re best used, so can be used all throughout the seasons. In the winter you may want to look for one that is slightly thicker in its material so you can stay warm when you’re battling the elements. 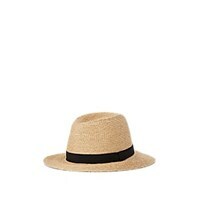 On the other hand, a fedora is more of a seasonal item, and tends to work best in the summer months. Because of their wider brims, these hats help to block the sun out of your eyes, as well as giving you a bit more protection from the UV rays. You wouldn’t get the same effect from a trilby in the summer due to the thinner brim, as well as the fact that they’re worn further back on the head away from the eyes. Whether you’re looking to wear your hat in the summer or the winter, or the seasons in between, we’ve got you covered. 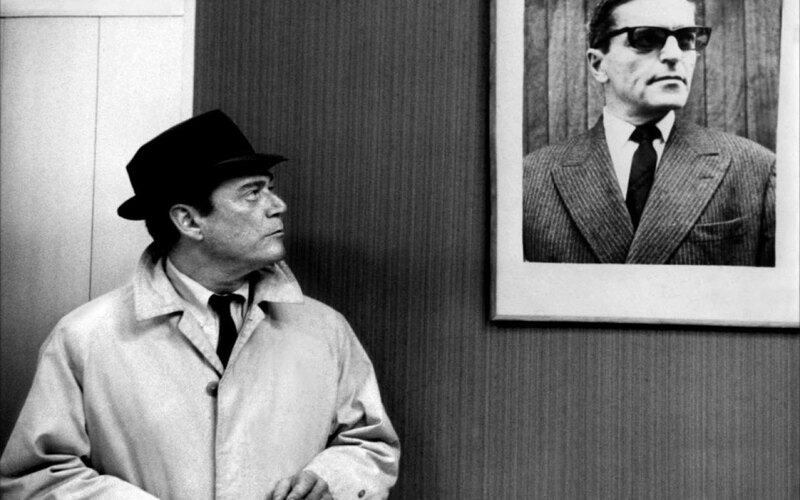 Follow our tips for what to wear with your trilby or fedora, and you’ll be the envy of all of your best pals. You only need to look at a boyband to get inspiration for an outfit you can wear with a trilby hat, as they seem to be big fans of them! It’s actually quite simple to pair other items of clothes with a trilby, as they work to give you an edgier look than if you weren’t wearing a hat at all. For that reason you can stick to all your favourite things, like skinny jeans and all the denim, and you still won’t look like you’ve gone over the top. 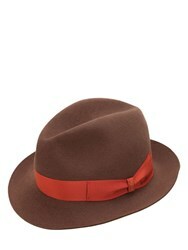 Our other piece of fashion advice for the trilby would be to add in some colour to your outfit. A bright t-shirt adds a splash of colour that can be well-needed if the rest of your outfit is made up of blacks and blues. In terms of the fedora, think about spring and summer appropriate clothes that won’t have you feeling too hot when the sun comes out. We think that the layering rule tends to work best, as you never know if the sun will keep its hat on after you get dressed in the morning. Even if you need to take off your hat at some point, you’ll still have a great outfit if you follow our next bit of advice. Choose something like slim fit trousers and a plain stylish shirt, and pop on a blazer if there’s a bit of a chill in the air. A blazer is also a great choice if you’re going from day into evening without going home to get changed, and you can still be brave and rock your fedora even when the sun goes down if you’ve fallen for your smart outfit choice. 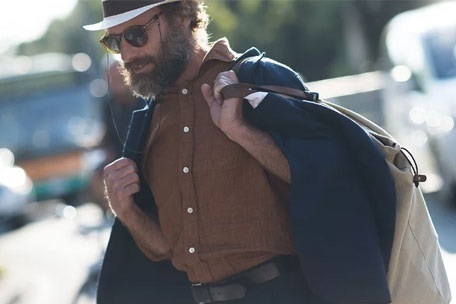 Once you’ve carefully picked a hat or two, you’ll want to keep them in pristine condition for future wear, so we’ve compiled a few top tricks for taking care of them. When it comes to storing your hat, a sensible option is to hang it on a hat rack or hat peg. Make sure you don’t leave it in the same position for too long as the hat can begin to droop or get imprinted with the peg; regular use and movement is helpful to stop this from happening. If you need to take your hat off when you’re out and about, we suggest that you put it down on a surface upside down, so on the crown of the hat instead of on the brim. Constant wear and tear to the brim can lead to damage, changing the shape of the hat as you know it. Learning how to clean your hat is also worthwhile if you want to get as much life from it as you can. Dust can easily be removed by using a slightly damp cloth, and you can get risky of pesky bits of hair with a lint roller or dabbing it with sticky tape. For more noticeable dirt such as stains and smudges, you can try and use a makeup sponge or a simple eraser to get rid of them. If this isn’t as effective as you’d like, you can always purchase a special hat sponge and cleaning spray; some of these cleaning solutions can dissolve stains completely. You can also try to use a horsehair brush or shoe brush to remove other bits of dirt. Always choose a soft bristle brush as some materials like nylon can damage the hat instead of cleaning it. If your hat is dark in colour, choose a brush with similar coloured bristles, and vice versa for a hat in a lighter shade. 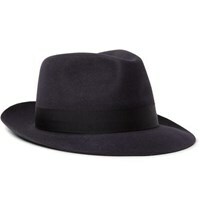 Trilby hats are a stylish option all year round, and can be styled well with simple items like skinny jeans and denim. 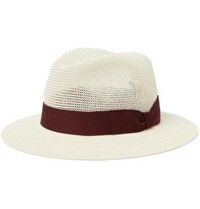 Fedora hats are ideal for wearing in the summer as the wider brim can offer you some protection from the sun. Don’t be afraid to choose an outfit with layers and then add your hat as a finishing touch; you’ll still look great even if you need to ditch the hat later in the day for another event. Wearing one of these hats can elevate your outfit into celebrity status; both trilbies and fedoras have been worn by icons of the past and present. Keep your hat in tip top condition by storing it on a hat rack, and leaving it crown side down when you’re unable to hang it up. Brush your hat with a soft brush with similar coloured bristles so you don’t leave noticeable patches after cleaning it. 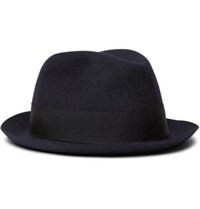 A hat such a trilby or fedora will let you channel your inner Frank Sinatra, or just another cool celebrity. Whether you pick a felt hat, or one in a different fabric, you’re sure to look the part. 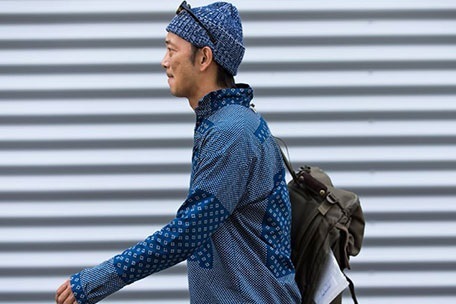 It takes a brave man to start wearing a different style of hat, but we’re sure you’re up to the challenge. 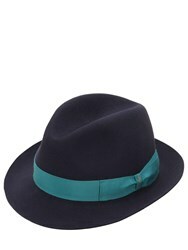 You’ll have fun experimenting with the looks you can create with a trilby or fedora. We’ll leave it up to you to decide which suits you the most, as you’ll probably want to try on multiple hats before you find one you love. 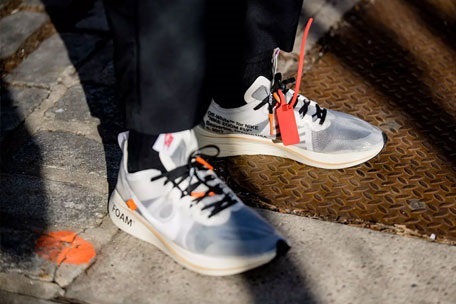 It might be the colour, the fabric, or the cut that wins you over, but whatever it is, you’re likely to get plenty of compliments when you start rocking your new look in public.